It’s not hard to see that Sam and Cody are a fun and quirky couple. I mean, look at them! Their wedding was definitely a reflection of their own personalities and nothing makes us happier! 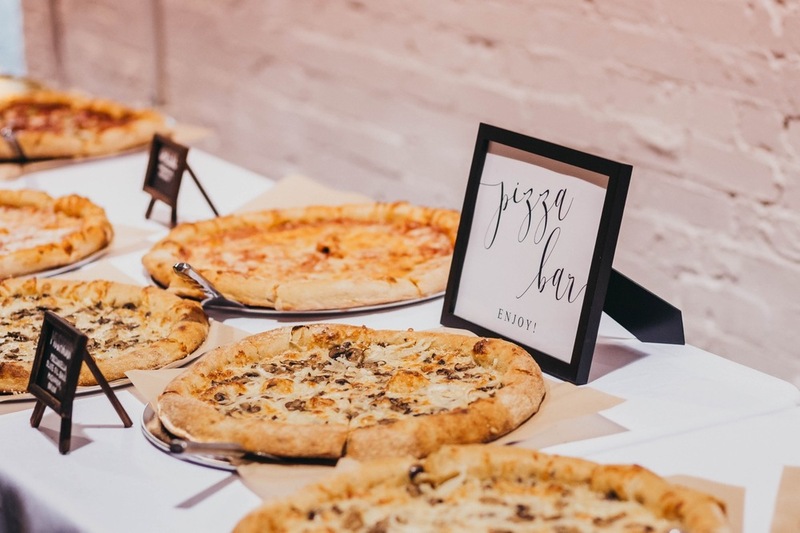 Our favorite part had to be the pizza bar! Also - is that a pickle in a wedding dress on the cake? It’s safe to say this was a REALLY fun crowd! The overall vibe of their event was a little bit boho mixed with industrial and we loooove it! You cannot go wrong with a beautiful blank canvas space like Haus 820 (easily one of our very favorite venues). Congrats to Sam + Cody - may we all be a little more like you two!